Sometimes it's as quick as the first scene in a movie that grabs me. In those first few seconds my attention is piqued, and I think to myself, "Oh yeah. I'm gonna love this movie." And I'm not sure how exactly it happens. I don't know how else to say it except that some movies have magic. New Zealand director Taika Waititi's film Boy possesses so much magic it's almost transcendent. Boy's storyline is simple enough: a boy named Alamein Jr. (nicknamed Boy) and his younger brother, Rocky -- both with creative imaginations -- meet their ex-convict dad for the first time. Both brothers have impressions of their father, neither of which are accurate. But it's what Waititi does with the characters that make the layers of the story more surreal, and yet extremely relatable. 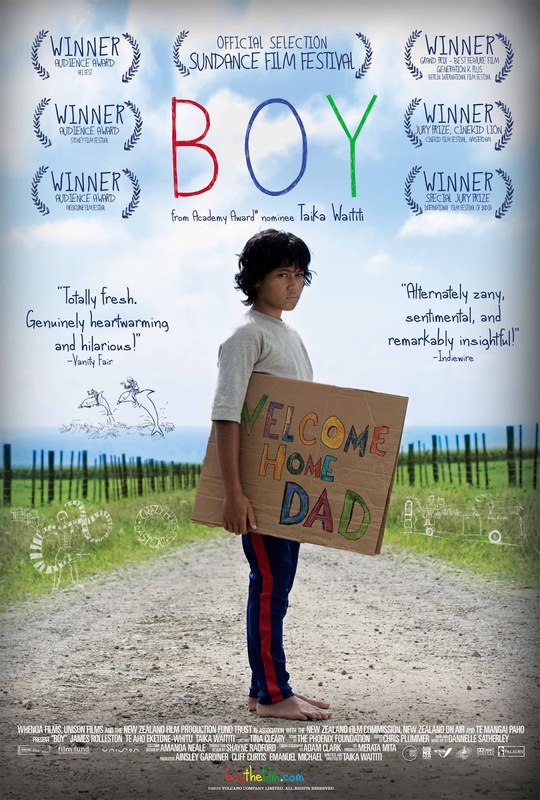 The fact that the main character's name is simply "Boy" could be interpreted that it's a story about anyone. And even though it feels like a very personal film, there are a multitude of moments that just about any child can identify with: bad haircuts, bullies, trying to fit in, and obsessions with artists -- in Boy's case, most things he sees are influenced by Michael Jackson references (more on that later). 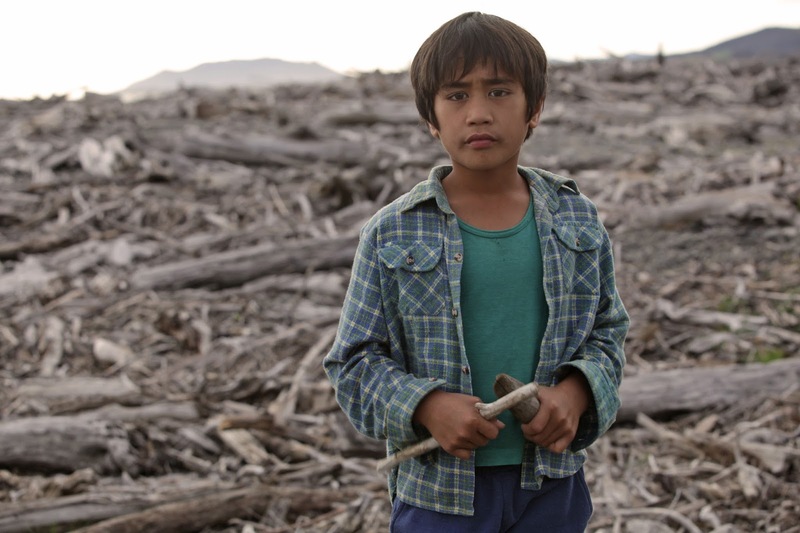 Boy stars James Rolleston (as Boy) and Te Aho Eketone-Whitu (as Rocky); both actors deliver performances that could put Oscar-winners to shame. This is difficult material and yet Rolleston and Eketone-Whitu make it look so natural. I often cringe when filmmakers use child actors as secondary, tear-jerking tools. The only worse thing is when filmmakers use children to make the audience say, "Awwww". 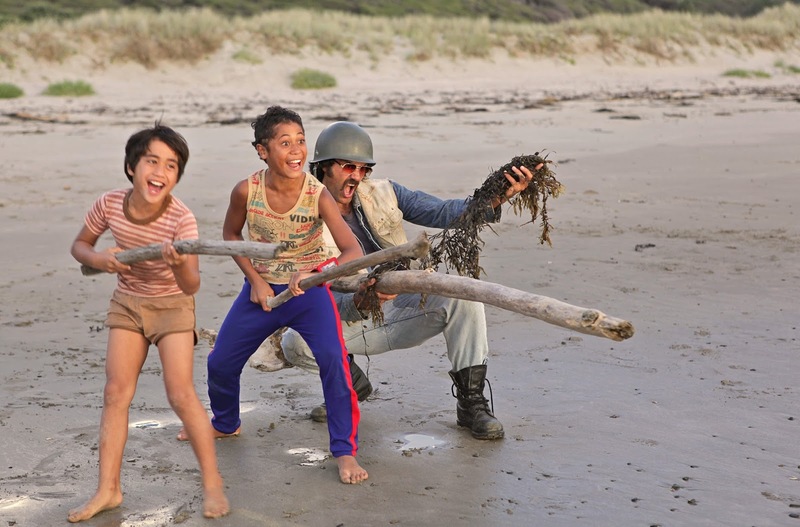 Waititi, instead, gives these children the limelight. They're not precocious, they're not the cool kids; they're simply well-written characters who happen to be children. And these two young gents have an excellent supporting cast, starting with the other young actors playing very developed characters. Their characters are so well-written, in fact, that it would be simple enough to produce individual films for the majority of the supporting characters! Despite their limited screen time, they all make the world that Waititi directs feel very real. And then there's the older cast, starting with Waihoroi Shortland who plays a homeless man nicknamed "Weirdo". The usually distant Rocky makes friends with Weirdo, and immediately after their first scene together you want to see more of their story. I'm sure a lot of that has to do with how well two characters -- and actors -- play off of each other. Te Aho Eketone-Whitu as "Rocky"
(who later nicknames himself "Shogun"). At the time I started watching Boy I was unaware of Taika Waititi. During the credits I noticed his name both as a director and actor. It turns out that Waititi is full of surprises, and the man can act as masterfully as he can direct. When I discovered that Waititi plays Boy's father, I started researching him. I found his name attached to other films (Eagle Vs Shark) and television programs ("The Inbetweeners") that I'm a fan of. He also directed several episodes of "Flight of the Conchords" which is on my list of "Shows To Watch" based on several friends' recommendations. Taika Waititi as Alamein aka "Shogun"
But going backwards in time, while watching the film I wasn't aware that Waititi was also the director. At the time of viewing I was simply amazed by this actor. He had charm, humor, intensity, and vulnerability. Well before the credits started rolling I knew I was going to look this actor up to see what other films he had acted in. Waititi is one of those artists that has a very unique point of view. 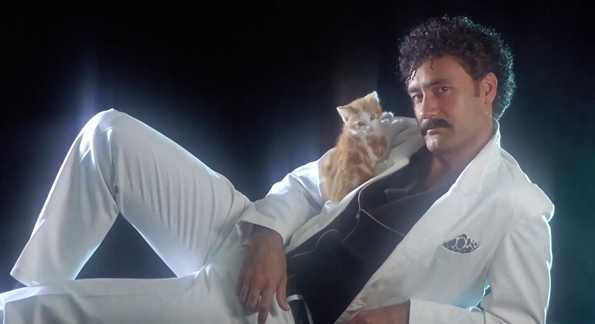 Much like Wes Anderson (Rushmore) or Jared Hess (Napoleon Dynamite), Waititi has a distinctive style. When trying to find a word to describe it, I found myself at a loss. I wouldn't say that his work is exactly quirky -- I think the term "goofy" would be more appropriate. But goofy in the sense that he's humorous in his approach to art. And he is an artist. Literally. 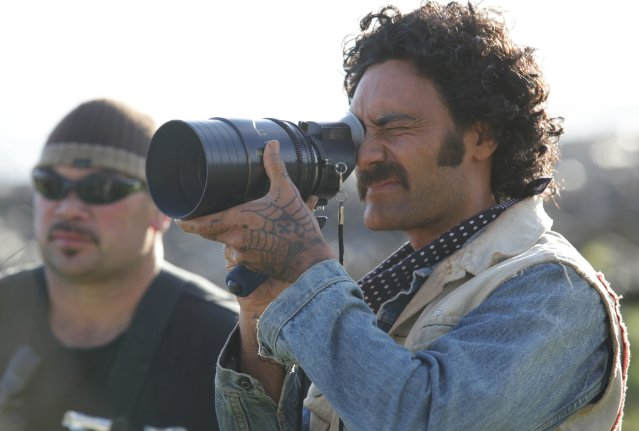 Among filmmaking, Waititi is a painter, comedian, and writer. I quickly added him to my list of directors that I'll follow. His next film, 2014's What We Do in the Shadows is one to catch when it's available in the United States. In fact, Waititi currently has a Kickstarter campaign to get that film into US theatres. The trailer is hilarious and I'm looking forward to watching the film. 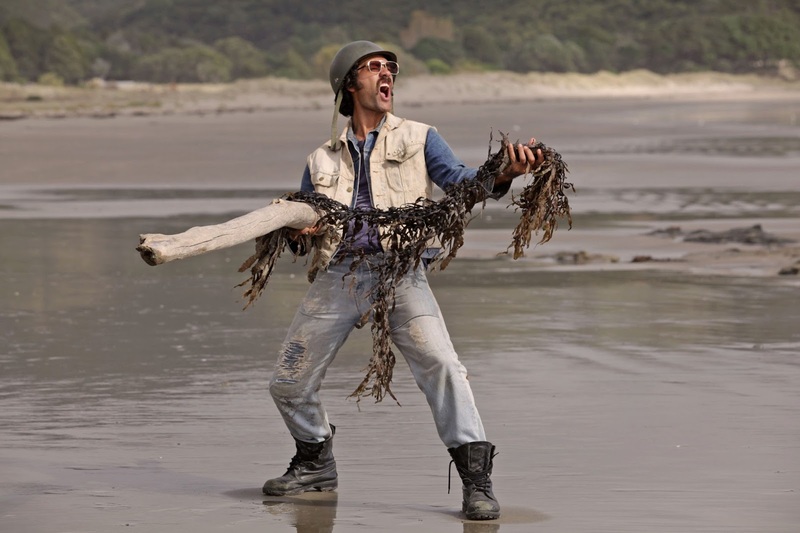 Directors like Waititi make watching movies fun and unpredictable. One of my biggest frustrations with most films is being able to determine the outcome of a story five minutes after it begins. Waititi allows me to just enjoy the story as it is being told. In writing about Boy, I cannot skip past one of its more hilarious bits: Michael Jackson references. The film is set in the 1980s, a time when Jackson was the most famous person in the world. Boy's fandom of the King of Pop is closer to obsession. The first scene expresses it in a way that couldn't be more perfect. (I won't ruin the moment with too many details.) But Michael Jackson is referenced many more times throughout the film. One great moment is when Boy imagines his father to look just like Jackson. 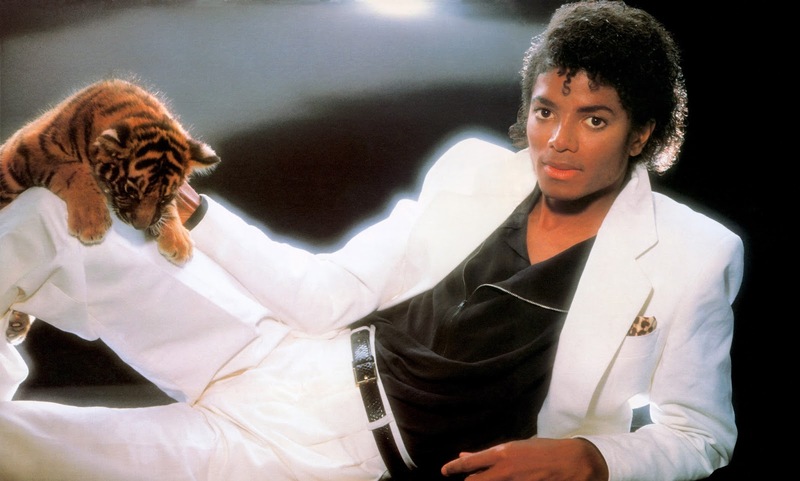 (Note: Stay tuned after the film, as well as after the credits, for some more Michael Jackson fun). With references like these, the film is, of course, very humorous, but it's also heart-warming. These characters may be damaged, misguided, and definitely skewed, but they all care about each other. There's even one scene from a bit character that offers Boy his popsicle (or ice block as it's known in New Zealand). It's a tiny moment but because of the context of the scene, it's a lovely sentiment. And though the film has many moments like this, I never felt like the film was on the verge of over-sentimentality. Every aspect of Boy was delivered with just the right dose. One note to non-New Zealand viewers is to turn on the subtitles. A few minutes in, I realized that I was missing a lot of great dialogue because of the thick accents. It's not necessary, but recommended. Personally, I got much more out of the film once I turned on the subtitles. TRIVIA: The term "Egg" is used throughout the film. It's a popular New Zealand term from the 1980s, and is a minor insult meaning "dork" or "fool".